Logan Funeral Home, Inc. - Philadelphia Location serves the historical Filter Square neighborhood of Philadelphia, PA and is located right in the heart of City Center. With close proximity to a handful of cemeteries, including Laurel Hill, the Woodlands and Mount Moriah, there are ample options for burial after funeral services. 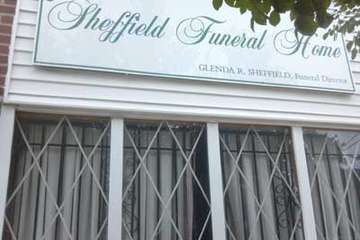 This funeral and cremation business dates back to 1895. Logan Funeral Home, Inc. - Philadelphia Location is the first of three locations under the Logan Funeral Home name. The facility is still housed in the original brick carriage house. William H. Logan began this funeral home to serve the residents of and immigrants to the Schuylkill neighborhood. A family business since the beginning, Logan Funeral Home, Inc. has seen several family members as president and funeral director throughout the years. Now, William H. Logan IV serves as funeral director. Because Logan Funeral Home, Inc. believes each family is unique, there are myriad options for families to choose from. There are a variety of cremation packages, including everything from direct cremation to cremation for Catholics. Funeral services, memorials and burials can all be customized to meet the family's wishes. The prices below are based on the General Price List for William H Logan Funeral Homes. However, funeral homes sometimes have special pricing packages available, and you should ask if those are available. Please let the funeral director know that you found William H Logan Funeral Homes on Parting.com to allow us to continue helping families like yours. The General Price List we have on file for William H Logan Funeral Homes has an effective date of Jan. 1, 2016. The prices on our site are for your reference only. We can’t guarantee that the actual prices will be the same as the prices listed on our site. All funeral homes have an effective date on their Price Lists that are subject to change and we recommend that you ask the funeral home for its most recent prices over the phone or for a copy of their General Price List. The funeral directors at William H Logan Funeral Homes are available to provide you with expert advice.